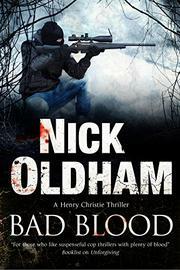 A former policeman’s retirement is thrown off course by a deranged killer’s deadly spree. Detective Superintendent Henry Christie is just starting to relish life as part owner of a pub in sleepy Kendleton. The Tawny Owl has just hosted its first wedding reception, and Henry’s fiancee, Alison Marsh, looks forward to a raft of future bookings. Little does the ex-copper know that he’s squarely in the sights of a skilled assassin. Even when an intruder breaks into the inn and tries to abduct Alison’s 20-something stepdaughter, Ginny, the would-be kidnapper leaves no clue that Henry (Unforgiving, 2015, etc.) is his real target. Since Ginny spends the day after the attack in the hospital with Alison at her side, it’s down to Henry to visit Lord Chalmers, who wants to host a birthday bash for his daughter at the Owl. When two thugs in Range Rovers turn up at Chalmers’ estate, Henry begins to suspect something may be off. His suspicions are confirmed when one of his lordship’s two security guards shoots the other dead. Then it’s game on. The Range Rover guys take out Chalmers, shoot down his wife’s plane for good measure, and chase Henry into the woods. With Henry gone, the body count starts its stratospheric rise. Pretty much everyone seems to be in the cross hairs, and it’s not clear how the killings could possibly be linked except that two geeks from Whitehall Street want to shut down the local police investigation. Witnessing a bloodbath of this scope is like trying to develop rapport with individual ants: characters barely have time to show up before they’re erased. This one is strictly for readers who want action without any stake in who’s onstage.